Imagine a drink that could help your body heal, prevent and even reverse over 150 different health conditions. Sounds almost too good to be true, right? 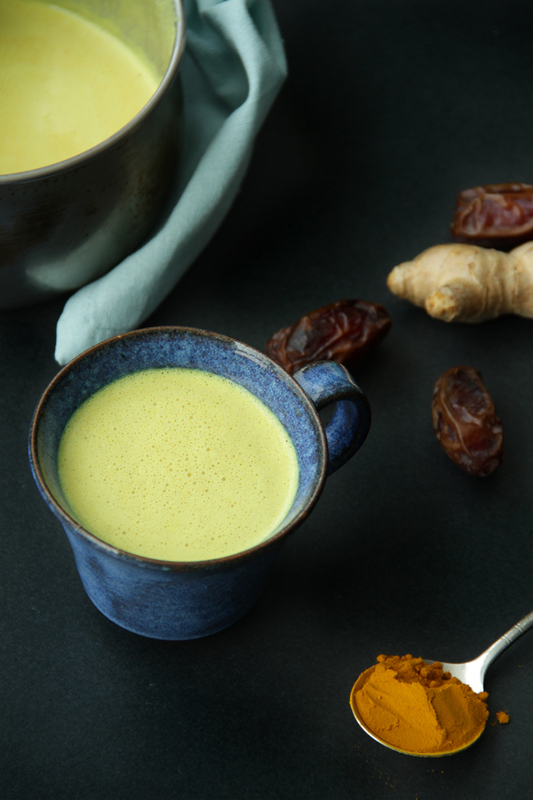 Well, this Turmeric Golden Latte is not only completely comforting, relaxing, and soothing, but it’s also extremely healing. Enjoying this tasty drink in place of your usual cup of coffee or tea could have all sorts of benefits, from reducing inflammation to supporting healthy cholesterol levels and treating indigestion problems. If you currently don’t use turmeric in your kitchen, it’s time to jump on board! It is one of the highest antioxidant foods you can find and even a little bit goes a long way. Turmeric has been found beneficial in treating and preventing several health issues like arthritis, diabetes, gastrointestinal issues, wounds and cuts, pain and aches etc. It makes your immune system stronger, thus improving your body’s resistance against a number of health issues. Turmeric possesses anti-cancerous property which can be attributed to the presence of a chemical called curcumin that not only kills cancer cells but also prevents their formation and growth. Turmeric is also good for liver health. It is a natural detoxifier. It removes toxic substances from the blood by producing several enzymes. If you have high blood pressure you can incorporate turmeric in your diet as it lowers blood pressure naturally. Turmeric reduces inflammation, which is also a cause of high blood pressure and maintains blood flow of the heart. So turmeric can be a natural remedy for high blood pressure, but ensure to consult your physician before using it for this purpose. 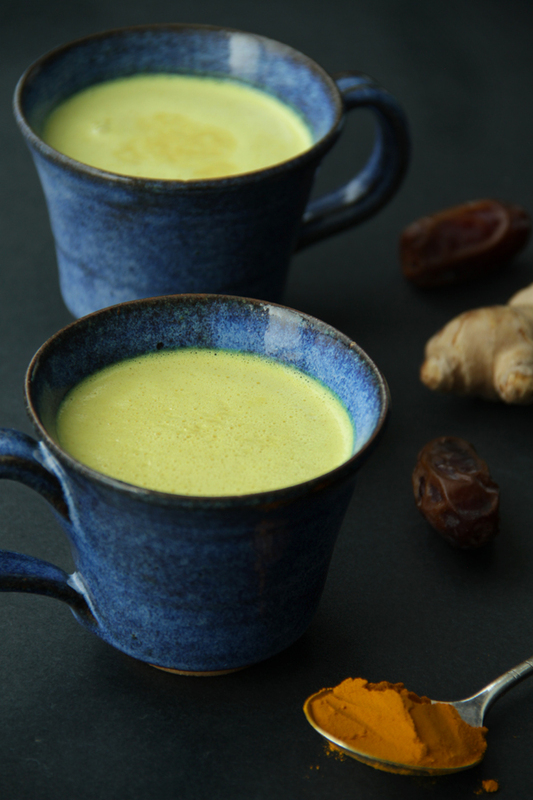 There are many variations of turmeric milk you can try. 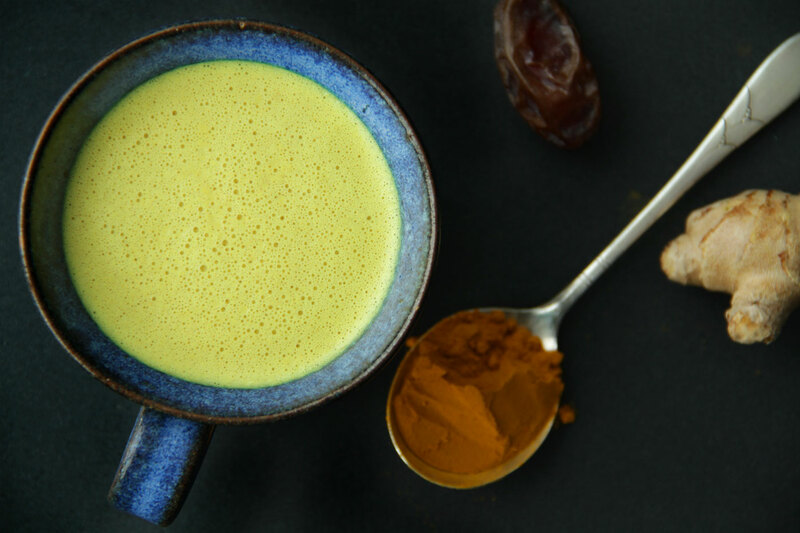 In this version we are blending turmeric with almond milk and coconut butter (or oil) which not only adds a soothing, creamy base but also additional health benefits. 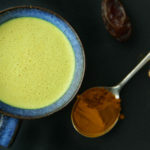 Simply combine all ingredients, medjool date, in a small saucepan and bring to a gentle boil while stirring with a spoon to combine. Carefully transfer hot liquid into a blender, add the pitted medjool date and tightly seal the lid. Blend in your high speed blender until frothy, about 30 seconds. We hope you find this comforting drink as healing as we do, even if you do not suffer from any ailment.